Pull out blinds are an ideal solution when you have limited room and can’t fit in a pleated patio blind, with a spring or crank mechanism, the blind can easily wind out horizontally and clipped on to creat shade, then uncliped and either spring retract or crank back using a simple removable crank handle. 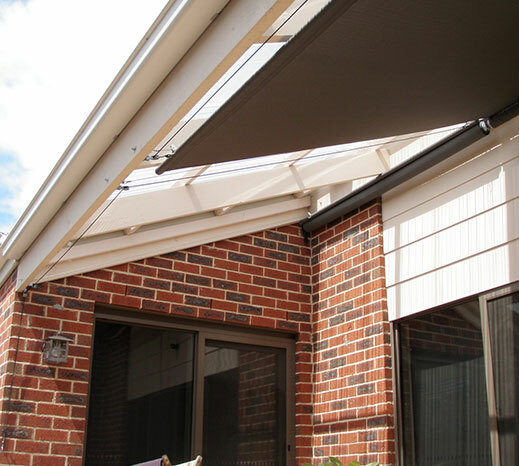 Pull out patio shades are effortless to operate, making it easy for you to adjust how much sunlight you would like streaming onto your patio. Whether you’d like to create a secluded oasis for your customers to enjoy their dining experience or want to host parties at your home in a private setting, patio shades will provide protection while not taking away from the outdoor experience.